The 12 volts 18 amp High Rate HRT Capacity SLA Sealed Lead Acid Rechargeable Maintenance Free battery AGM TM Technology , Terminal: L1. Each battery carry the best technology and performance. Featuring high discharge design, wide operating temperature range, and long expected service life, Floating time range 3 to 5 years . Valve-Regulated Lead Acid (VRLA) Technology making them safe to operate in any position. 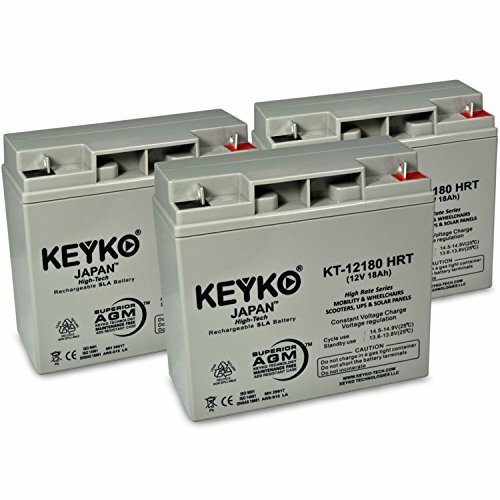 SKU: KT-1218-HRT Series.